Unknown size but appear to be quite large. 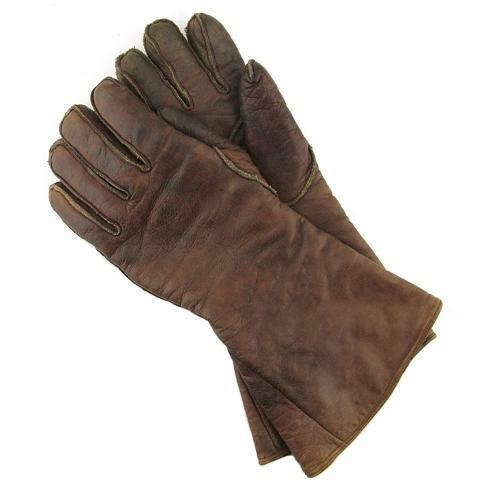 The leather is reasonably clean bar light marking, has minor wear and is generally in very good supple condition. Unusually these are an excellent colour match and have clearly always been worn as a pair. The blanket fleece linings show some wear but are also good. Labels absent. A really nice pair of used gloves. Stock code GA23002.